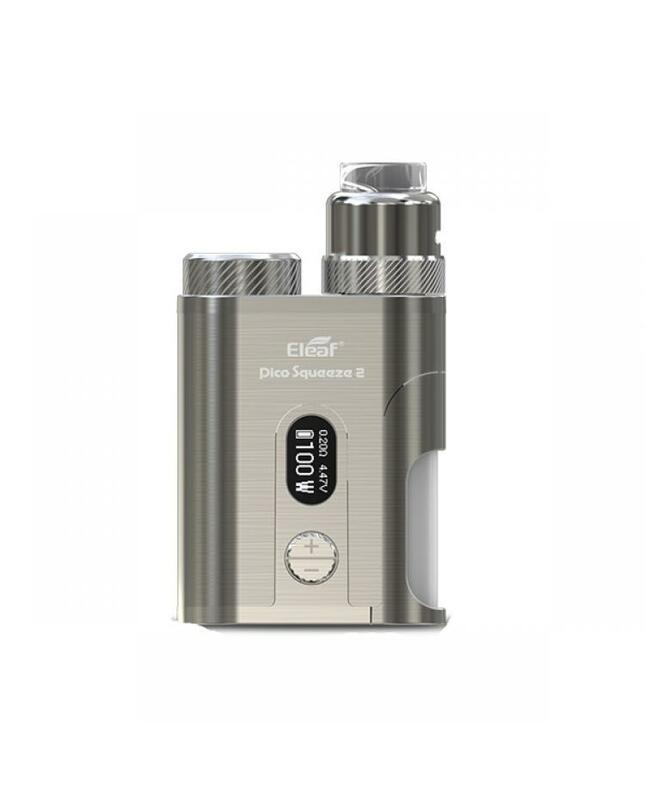 The Pico Squeeze 2 Squonk Eleaf Vape Kit, which is an upgraded version of pico squeeze kit, include pico squeeze 2 box mod and coral 2 RDA. 5 fashionable colors available. 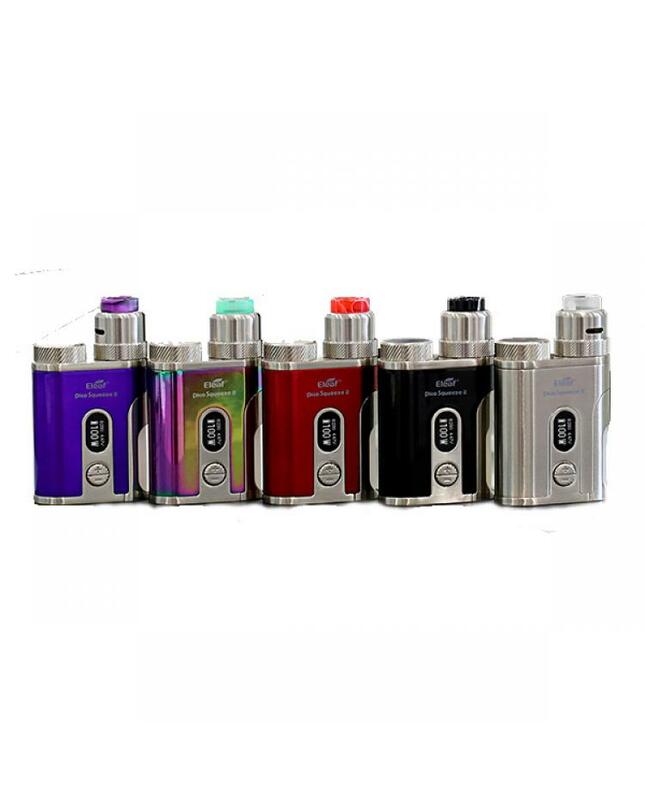 the new pico squeeze 2 powered by 1 21700 or 18650 battery and max output 100watts, utilizes a new avatar chip to provide a faster firing speed than ever, vapers can select variable working modes, it supports resistance as low as 0.05ohm under temperature control mode. the new eleaf squonk kit equipped with the 0.49inch screen will show all essential information clearly. the built-in refillable squonk bottle can hold an ultra huge 8ml e juice, extending the time between refills, the 7 color LED is a plus to the stunning looking of pico squeeze 2. the coral 2 RDA offers an open space for you to build coils, the specially designed with a channel that directs the airflow to the coil, presenting a great vaping experience with huge clouds and enhanced flavor. 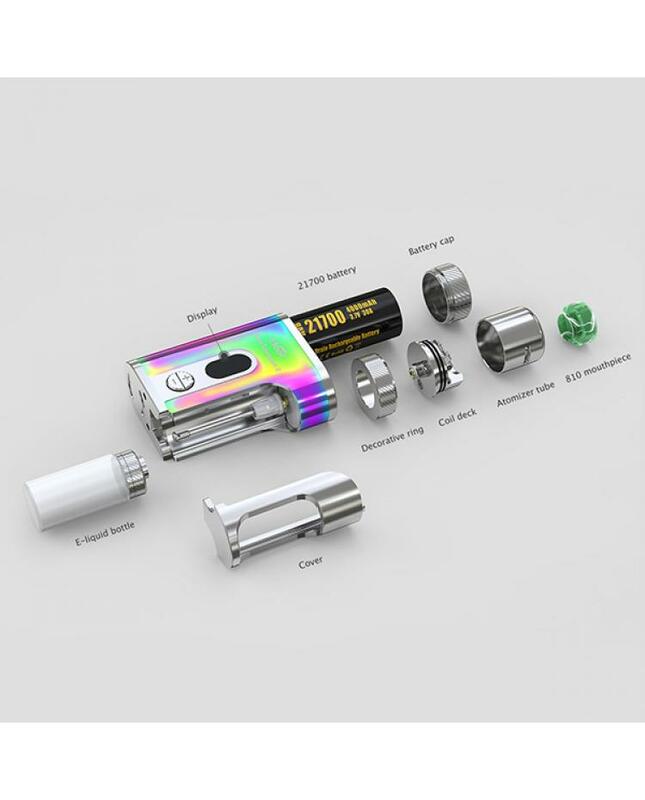 the airflow can be adjusted to your preference by rotating the atomizer tube,vapers can adjust the airflow to your preference easily. 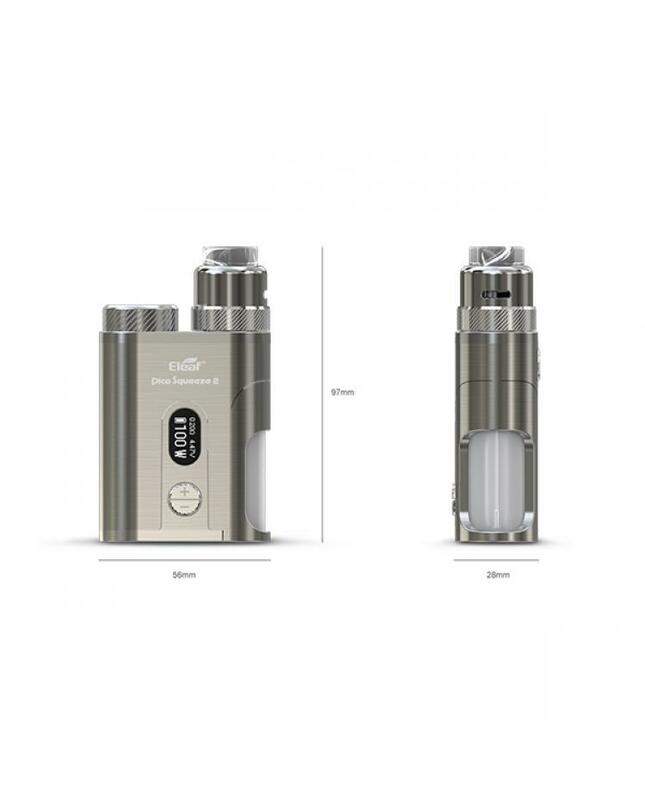 the eleaf coral 2 can be transformed from a squonker RDA to a regular RDA by simply replacing the bottom pin. it comes with standard pin and squonk pin.